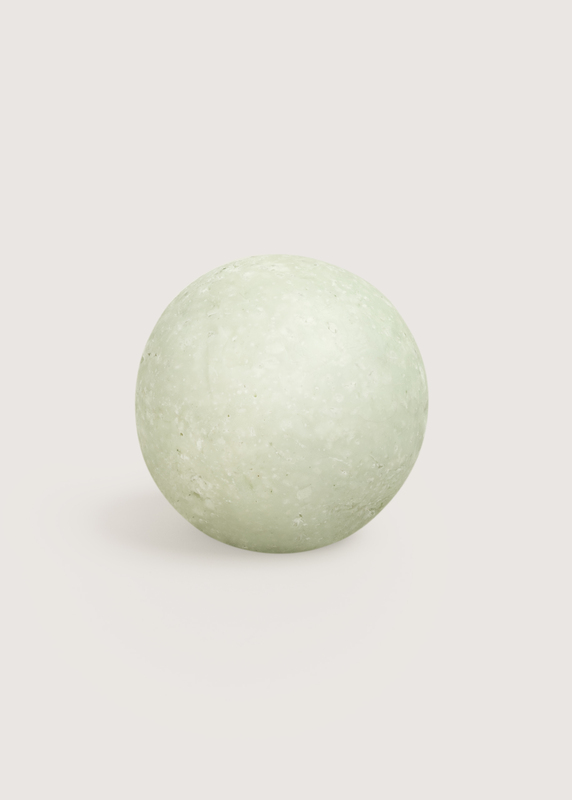 Soap in spherical form for daily use - Contains sea salt, and fragrant essential oils from eucalyptus and organic lemon. The minerals from the salt will nourish the skin and help preserve its natural balance of moisture. 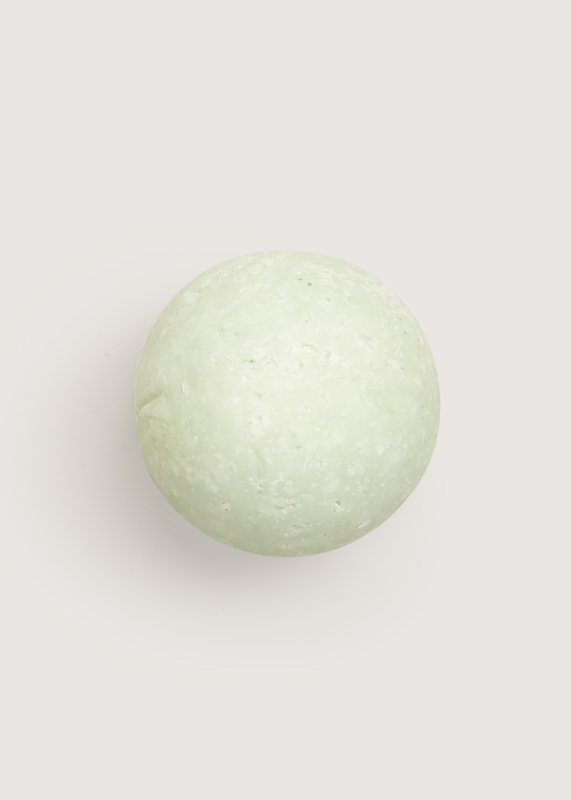 Eucalyptus oil holds a highly popular and refreshing minty scent. It strengthens and refreshes when you feel tired. Organic essential oil of lemon is known to lift the spirits. Lemon will also improve blood circulation. The salt in the soap gently disinfects the skin and simultaneously improves its general well-being. The coconut butter, olive oil and Finnish sunflower seed oil make this soap even gentler and more efficient at moisturising. In addition to hands, this soap is suitable for the whole body. This soap is fully biodegradable. It does not hold any synthetic fragrances or chemicals that might cause symptoms to sensitive people, or harm the nature when entering the sewage. Please note! Due to the soap containing salt, it is best to avoid on areas with open cuts to avoid unpleasant sensation. Also use caution around eyes and the sensitive skin surrounding them. Wet the skin with water, rub the soap on your hands and rub on skin. Rinse the skin with ample amounts of water. Essential oil of eucalyptus carries a fresh minty and spicy camphor scent. The oil also functions as an antiseptic, and will strengthen and invigorate a tired mid. The mat green pigment of chromium gives this soap its green tint.